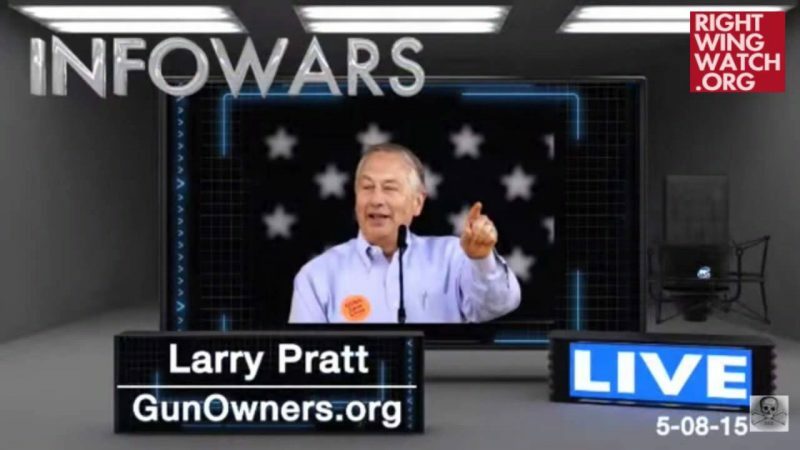 Gun Owners of America executive director Larry Pratt spoke May 11 at a rally in Morrisville, Pennsylvania, in support of an unconstitutional measure that would nullify federal gun laws in the state – a favorite cause of extremist gun activists. I know it’s not a, per se, a gun issue, but it’s a freedom issue. We began to see that if we were able to beat the president on this flagship issue of his, gun control, then the rest of his agenda was likely to falter. And you know what? That’s exactly what’s happening. Even the immigration bill, which tactically I think they should have led with, that might have passed if that had been first, I don’t think it’s going to pass now. 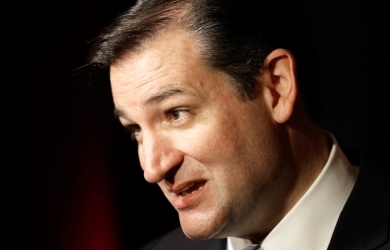 It’s probably not going to get out of the Senate because it might be that we can filibuster. Why do we care about an immigration bill? Well, frankly, it’s a matter of numbers. If you bring in a whole bunch of Democrats into the country, most of them are going to vote to take away our guns. And in a few years, that’s exactly what would happen. So, we don’t want the other problems that come with that, but just from a Second Amendment point of view, we have a dog in that fight and it’s important that we keep that bill down. Pratt added that he is hopeful “that we’ve got an agenda that’s set to take off” thanks to his primary allies in Congress: Rep. Steve “If Babies Had Guns” Stockman and Sen. Ted Cruz of Texas. 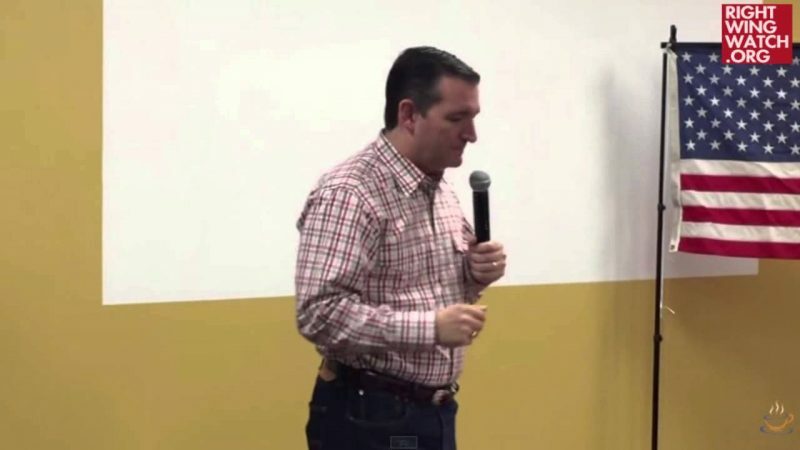 Of Cruz, Pratt said, “I’m so happy that we made a major effort to support his campaign when he was a candidate.” Gun Owners of America contributed over $9,000 to Cruz’s primary campaign and Cruz touted the group’s endorsement. “He has not disappointed us and I’m certain that he’s not going to disappoint us,” Pratt added. That Pratt is “certain” of a U.S. senator’s loyalty is troubling, to say the least. After all, he is an avid conspiracy theorist who thinks the Aurora movie theater shooting might have been an inside job, warns that President Obama is building a private army to overpower the U.S. military, claims that liberals were happy about the Boston Marathon bombings, thinks that President Obama is a “Marxist” who stole the 2012 election and thinks it’s “not stretching” to say that the president is instigating a race war between white Christians and black Muslims. So I think we’ve got an agenda that’s set to take off. We’ve got them down and if we keep the pressure on offense, thankfully we’ve got people like Rep. Stockman and Sen. Cruz in the Senate, we’ve got people that will fight. And because of that, we’re going to see a lot of action during the rest of the year, and especially in the Senate, where the rules are more favorable to what we’re trying to do. And Sen. Cruz has shown that he may have only been there for four months, but he knows how to run circles around just about everybody else in that Senate. We’ve got a real hero there that’s ridden into town from Texas. And I’m so happy that we made a major effort to support his campaign when he was a candidate, and he has not disappointed us and I’m certain that he’s not going to disappoint us. This guy is the real deal.